27 cm x 23 cm. 28 pages. 14 color plates. 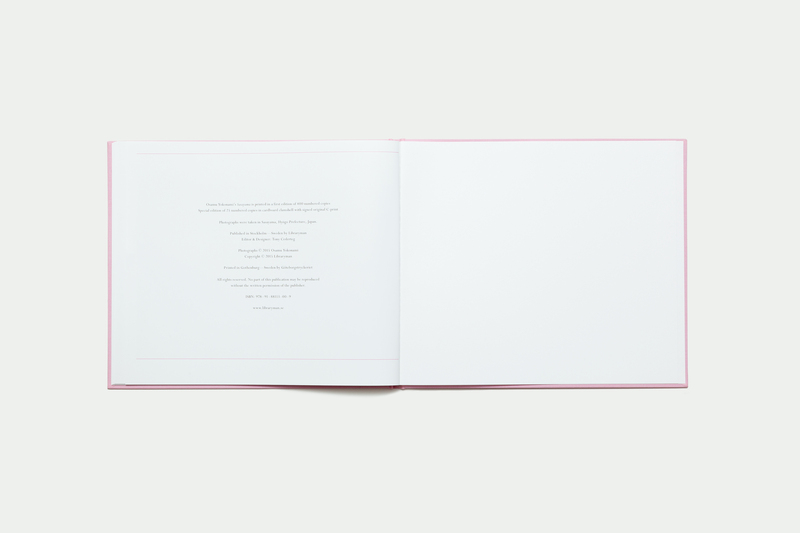 Offset printed clothbound hardcover. Linen thread bound. Authentic tip-in image on front cover with cover text in white foil. 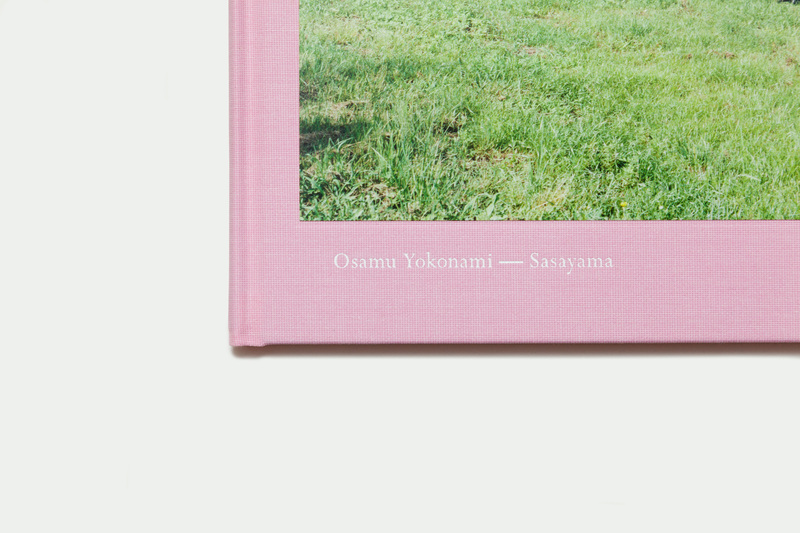 Through an expressive exploration of anonymity, natural landscapes and collective entity, Osamu Yokonami (b. 1967, Japanese) offers insight into a simplistic yet obscure realm, where inquisitive souls are homogeneous and joyful. Uniformed and choreographed individuals seeking new sensations and mysteriously discovering their scenic settings—one is left with versatile perception of what really happened, and unforgettable delight. Photographs were taken in Sasayama, Hyogo Prefecture, Japan. 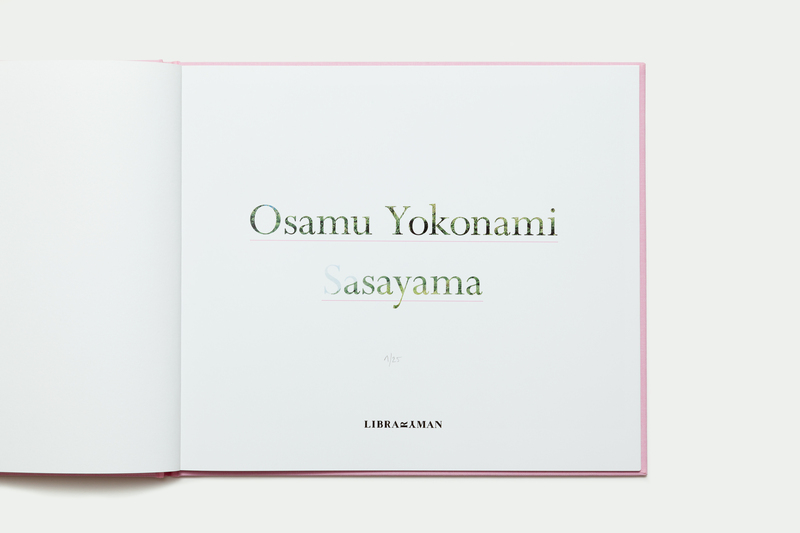 First edition of 400 copies, numbered. 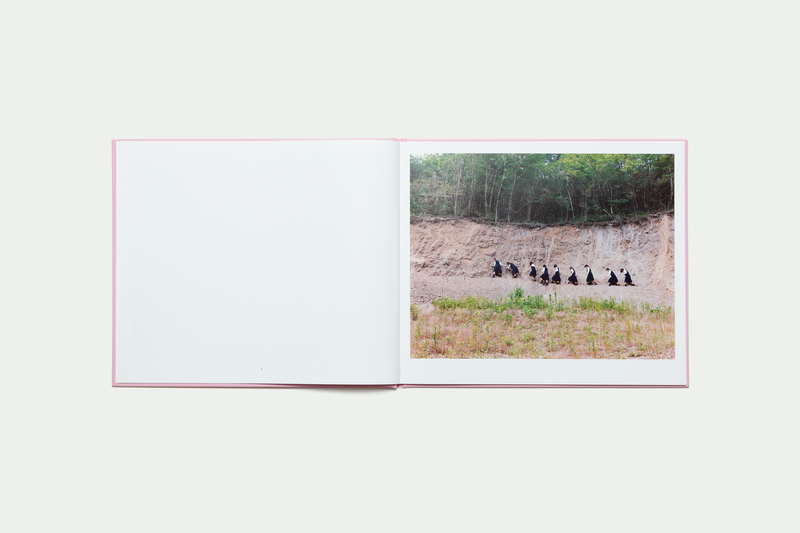 Special edition of 25 copies, numbered, in cardboard clamshell, plot printed in pink, with signed original C-print.